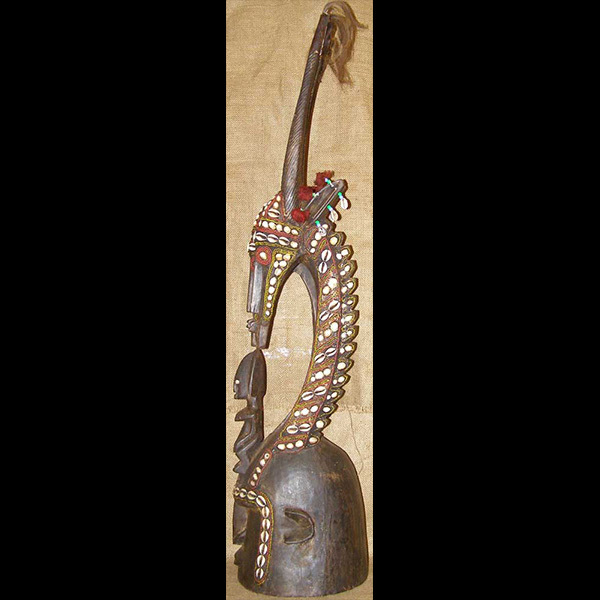 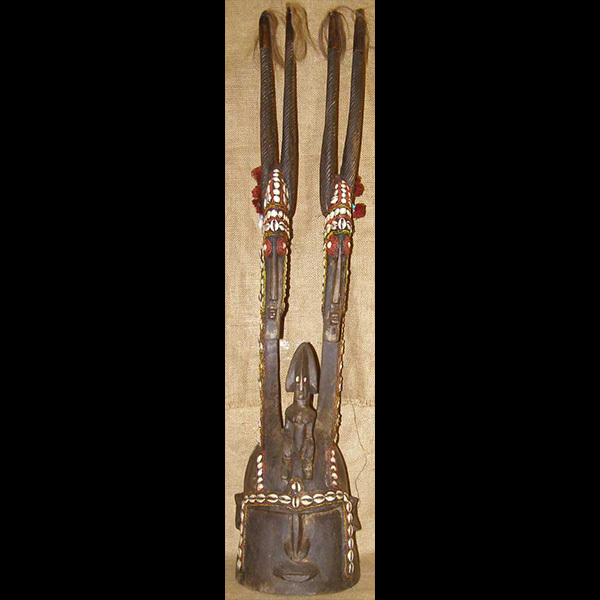 The Bambara people of Mali are among the most gifted creators of African sculpture. 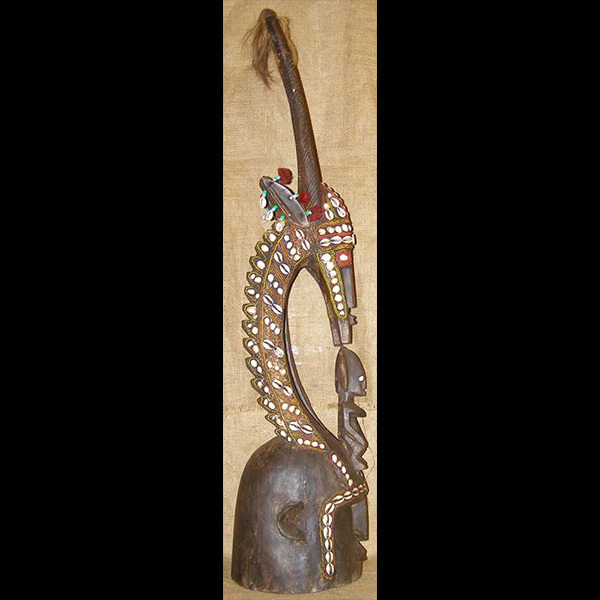 This masterfully rendered Bambara Chiwara Helmet is 39 inches tall and is adorned with beadwork, cowrie shells, and leather. 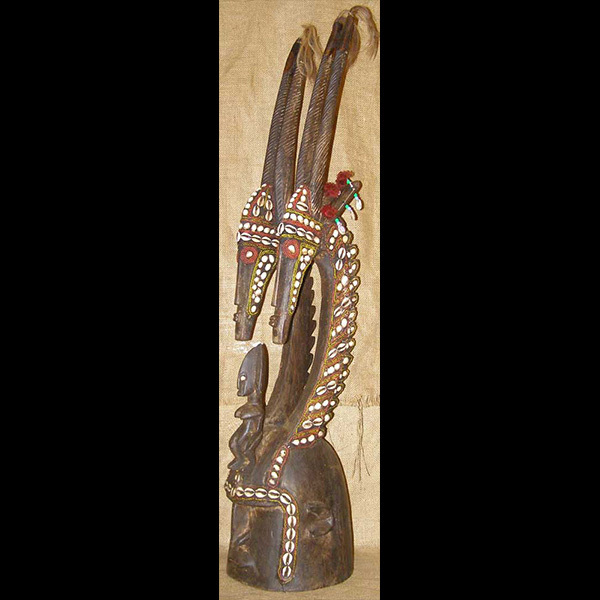 Hand carved of wood, it celebrates Chiwara, the mythical half-man, half-antelope deity who taught agriculture to the Bambara people.